Eurocom is now shipping Linux based Notebooks and Laptops, perfect for students heading back to school. Students can save by choosing Linux based operating systems, combined with a 10% discount as part of the Eurocom Education Program. For students who require more performance and capability Eurocom also offers NVIDIA Quadro based Mobile Workstations for engineering and design students, combined with Intel Core i7 and Intel Xeon processors. Eurocom systems support Linux operating systems, we install these operating systems on systems that support them, and we recommend Ubuntu or Linux. Eurocom notebooks are perfect for new or current post-secondary students to build a comprehensive portfolio of work to take with them as they start their chosen career. They’re small, lightweight but have maximum power, proving that size doesn’t matter. “If you buy a notebook from Eurocom as a high school graduation gift, it’s built to last past University graduation” Mark Bialic, Eurocom president. Linux based operating systems are a great alternative to Windows operating systems because they are less prone to virus attacks, are very secure, while having a stylish and intuitive interface. Linux distributions like Ubuntu give users a streamlined experience that they can really make their own. With Ubuntu or Mint users become part of a massive, open source community that provides support through millions of other fellow users. Shocking performance, buttery smooth frame rates, long battery life and ultra portability. A perfect fit for those who want to conquer today’s mobile gaming world. 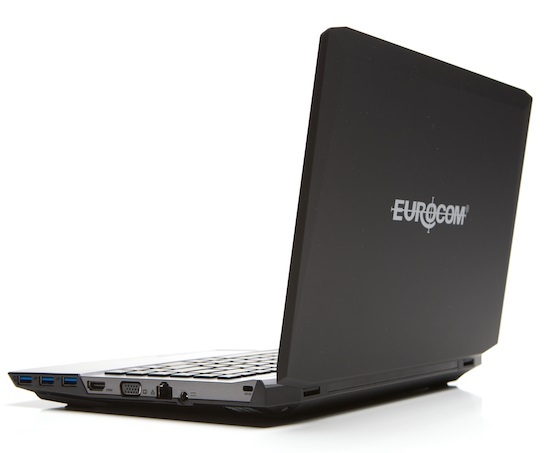 The EUROCOM M3 is the most powerful 13.3 inch notebook ever made!